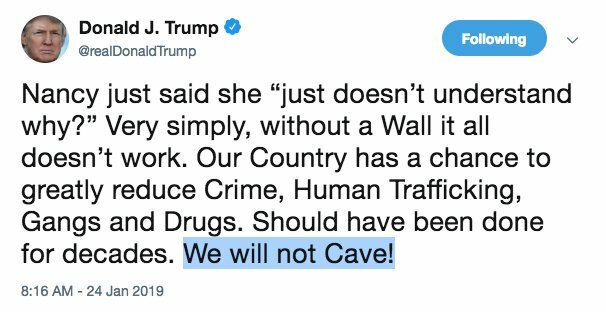 When it came to the government shutdown and the border wall, Donald Trump said we would never cave. You know the rest of the story. Trump folded like a lawn chair and basically shut the government down for 36 days for nothing. It cost government workers money and hardship. While the right wing media even piled on Trump for caving, Sean Hannity is sticking by his love’s side. HuffPo writes that Hannity insisted that Trump still “holds all the cards” when it comes to negotiating with Congress for the wall. I’m not sure anyone knows the Donald Trump that Hannity knows and I’m thinking that most people are more than grateful for that.